NATO Tiger Meet spotterday 2019. The spotters day organized every year during the Tiger Meet exercise is definitely the most awaited event by all aviation enthusiasts. During the day the photographers can take pictures of colorful planes made for the occasion by the participating Squadrons. The fuselages of the fighter aircraft receive the streaks of the tiger and every year the works are more elaborate and amazing. At the end of the exercise the most acclaimed aircraft also receives a prize for the best scheme. 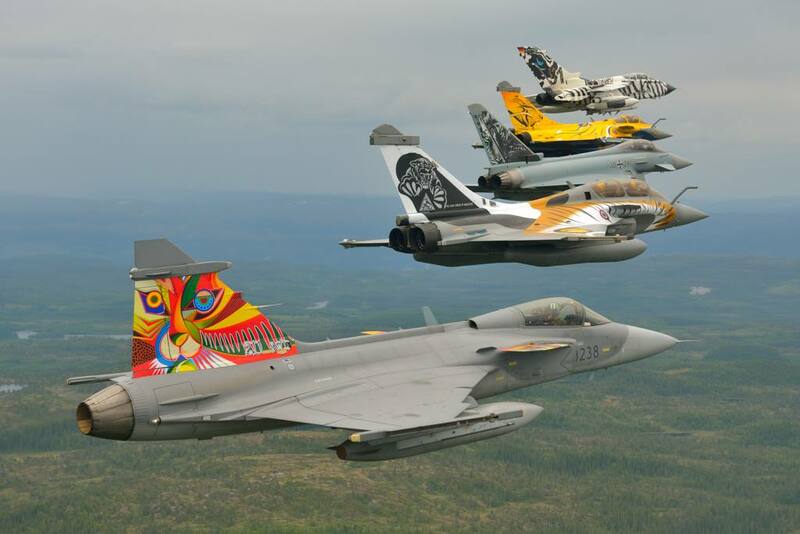 The NATO Tiger Association has announced the date of the Tiger Meet spotters day 2019, it is scheduled for May 17 at the BA118 Mont-de-Marsan, France. The exercise will take place from May 13 to 24 and will include the home based Rafale C/B jets belonging to EC 3/30 and ECE 01/30 and several other fighters that will be annunced later. Usually the spots are limited, look at the details below and send your data as soon as possible!